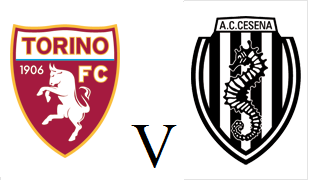 Torino will look to secure a Coppa Italia tie against Juventus as they face Serie B side Cesena on Tuesday evening. Giampiero Ventura may use this game as an opportunity to rotate his squad, so fringe players Davide Zappacosta, Alessandro Gazzi and Josef Martinez could all start. Fabio Quagliarella will definitely miss out due to a slight injury, whilst Pontus Jansson is included in the squad after an injury of his own. Cesena were relegated from Serie A last season but looking to bounce straight back at the first attempt and are currently 4th in Serie B. Toro goalkeeper Alfred Gomis is actually at loan at Cesena, but is not expected to feature against his parent club tomorrow. 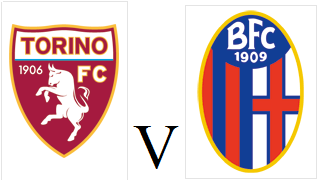 Torino won for the second game in succession as they beat an in form Bologna team on Saturday evening. Giampiero Ventura kept faith with the same team who beat Atalanta last weekend, so it was Andrea Belotti and Fabio Quagliarella upfront. Daniele Baselli had the first chance of the game, but his long range effort was well save by Antonio Mirante. Toro dominated the first half, and the former Parma keeper also had to turn an effort from Giuseppe Vives around the post. Fabio Quagliarella almost ended his goal drought for the Granata, but his cushioned header hit the bar. With fifteen minutes remaining, Toro finally got their deserved goal and it was a Andrea Belotti who scored his first goal for his new club. The former Palermo man received the ball on the edge of the area before running past the defender and finishing past Antonio Mirante. In injury time, Toro doubled their lead after a mistake by the Bologna defence allowed Giuseppe Vives to run through on goal, and the veteran midfielder finished from a difficult angle to secure all three points. Torino will look to build on their impressive victory against Atalanta when they face Bologna at the Stadio Olimpico on Saturday evening. Andrea Belotti should retain his place up front alongside Fabio Quagliarella after a good performance last time out, although he is still waiting for his first Toro goal. Bologna have witnessed an upturn in fortunes after Roberto Donadoni replaced Delio Rossi and have gained seven points from his three games in charge. Torino ended their run of six games without a win after to deserved win against Atalanta thanks to Cesare Bovo's goal. Cesare Bovo returned from suspension so returned to the starting eleven, whilst Afriyie Acquah replaced the injured Marco Benassi in midfield. Andrea Belotti, who is yet to open his account for Torino, had the first opportunity of the match but his shot was well saved by Marco Sportiello. Belotti once again had a great chance to correct that statistic moments later, but he failed to make any contact with Bruno Peres' excellent cross. The ball kept falling to the former Palermo man, and he came even closer to opening the scoring when his header hit the crossbar from a Cristian Molinaro assist. Toro did eventually take the lead seven minutes into the second half, when Daniele Baselli's cross was volleyed home by Cesare Bovo. That goal meant that Bovo has now scored in successive games for Torino, as the defender also scored an equaliser in the Derby Della Mole. Some poor defending by the Granata gave German Denis a great chance to equalise, but the Argentine could only find the side netting. At the other end, Andrea Belotti once again came close, this time hitting the post, but in hindsight, a pass to strike partner Quagliarella may have been the better option. Toro needed a last minute intervention by Cristian Molinaro to deny Andrea Masiello, but the Granata held on for a much needed victory. 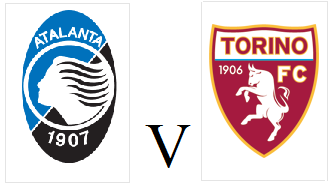 Torino will look to end a run of six games without a win when they travel to Bergamo to play Atalanta on Sunday afternoon. The Granata have not won since a 2-1 victory against Palermo at the end of September, but will be boosted by the return of Cesare Bovo from suspension. Opponents Atalanta are unbeaten at home this season, winning four of their five fixtures including an impressive 2-1 victory against Lazio in their last game. However, Toro will take heart from the fact they beat their hosts in this fixture last season - with captain Kamil Glik scoring in a 2-1 victory. 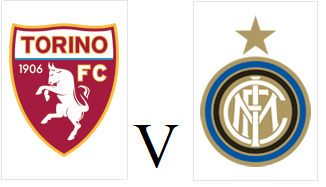 Torino's run of winless games stretched to six as they fell to a narrow 1-0 defeat against Inter on Sunday at the Stadio Olimpico. Gaston Silva was chosen to replace the suspended Cesare Bovo whilst Marco Benassi and Andrea Belotti were also given starts. And it was former Inter man Benassi who almost scored his second spectacular goal of the season, but his long range effort hit the bar. The Granata were made to pay for that missed opportunity, as Inter went straight down the other end and took the lead. Yuto Nagatomo's free kick was flicked on by Rodrigo Palacio and the ball fell to Geoffrey Kondogbia who volleyed home. Toro thought they had valid claims for a penalty before half time when Andrea Belotti was tripped by Jeison Murillo, but the referee waved away the former Palermo man's protests. Samir Handanovic made two sensational saves to first deny Fabio Quagliarella and then Andrea Belotti as Torino began to dominate. However, despite two more chances for Quagliarella, Toro could not find a way past the Slovenian and fell to their first home defeat of the season. Torino will look to bounce back from their heartbreaking last minute defence against Juventus when they face Inter on Sunday. The Granata have not won a game since the 27th September, a 1-0 victory at home to Palermo, so will be looking to amend that statistic. Toro will have to do without Derby Della Mole goal hero Cesare Bovo who is suspended, so Vasyl Pryima could make his debut. Inter have been in great form this season and have only lost one game, a surprise 4-1 home defeat by Fiorentina. For the second year in succession, Torino suffered Derby Della Mole heartbreak at the Juventus Stadium after Juan Cuadrado's injury time winner. Maxi Lopez and Afriyie Acquah started in favour of Andrea Belotti and Marco Benassi, whilst as expected, Fabio Quagliarella came back into the starting eleven. Toro had the first opportunity in the game, but former Juventus striker Quagliarella could only hit the side netting from a well-worked free kick routine. And they were made to the pay the price, as the home side went straight down the other end and opened the scoring through Paul Pogba's long range volley, although Daniele Padelli's positioning surely needs to be questioned. Torino reacted well to that setback and Daniele Baselli's excellent pass found Fabio Quagliarella whose effort went narrowly wide of the post. The Granata had chances to win it, and Kamil Glik twice tested Buffon with headers, whilst Giuseppe Vives also forced the Juve captain into a save after a long range shot. However, just as had happened twelve months previously, Juventus denied Toro a deserved point with an injury time winner. Paul Pogba capitalised on slight hesitation in the Torino defence and found substitute Alex Sandro whose low cross was converted by Juan Cuadrado. This was another heartbreaking derby defeat by the Granata, whose fans will at least be encouraged by the performance. However, the fact they conceded an injury time goal for a second game in a row will certainly be a worry. *there is a slight chance that this was not a deliberate training ground routine, and the ball inadvertently hit Baselli.